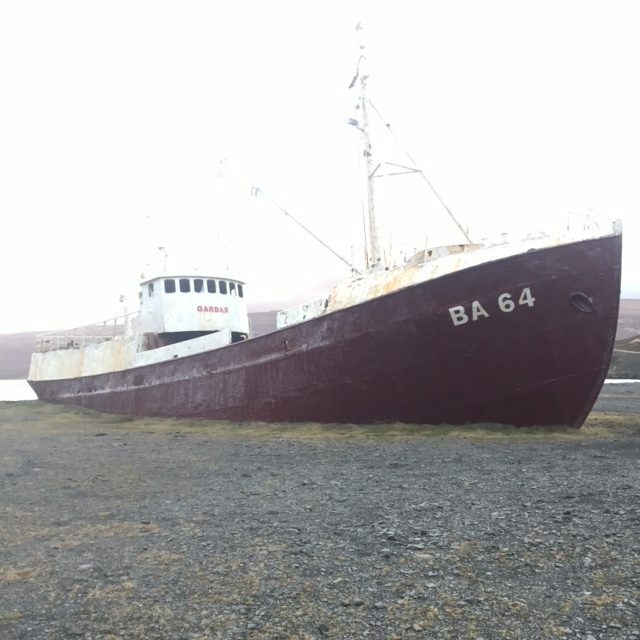 Located about as Northwest Iceland as you can get, Gardar Ba 64 is a large boat that has been beached as it’s final resting place after 70 years of service. 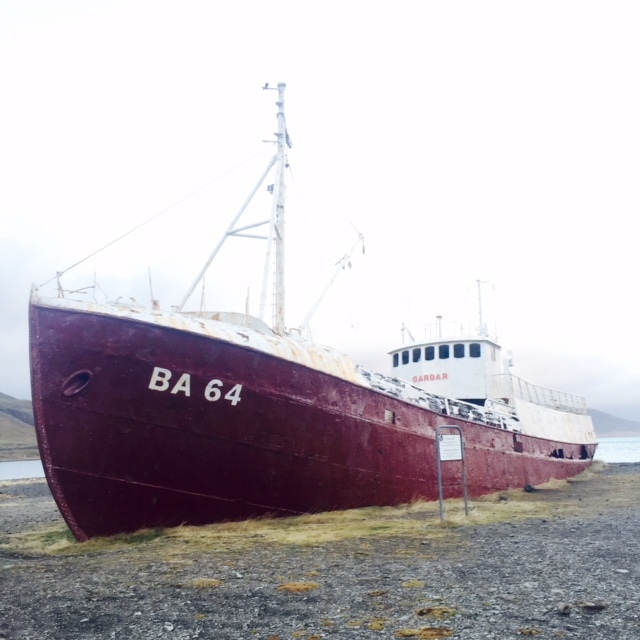 Originally known as Globe the 4th, this boat outlasted many other vessels during it’s lifetime. 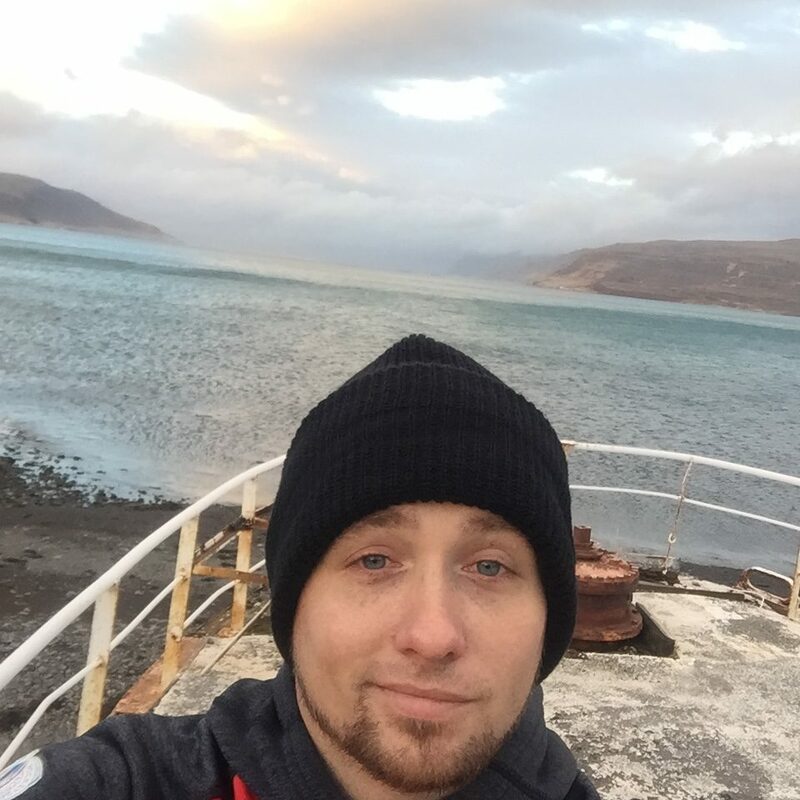 It was fit with top of the line technology (for it’s time), and a re-enforced hull to break through the ice. 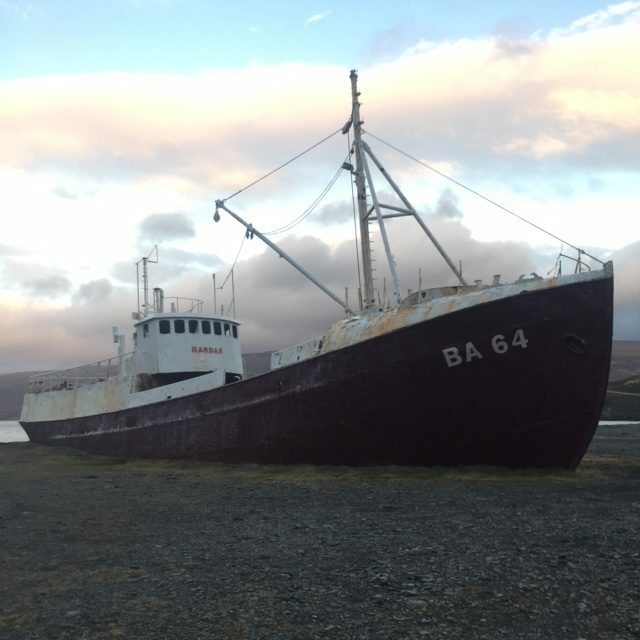 It was decommissioned in 1981 and beached ashore this black sand beach.